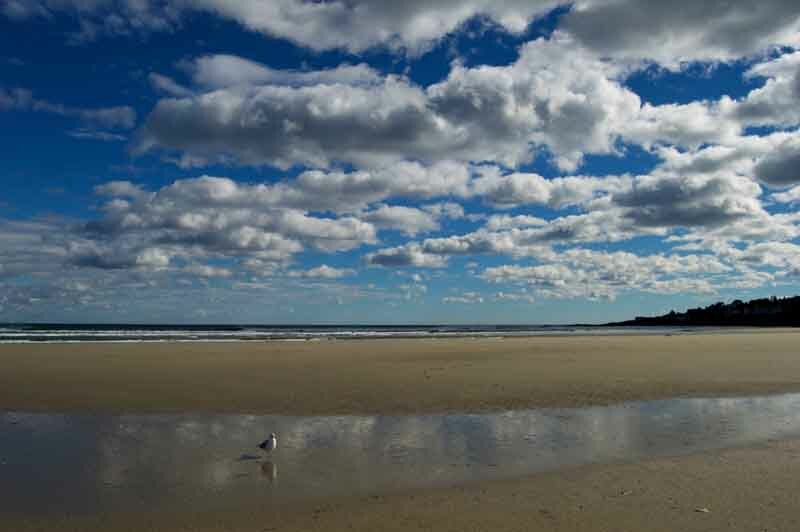 With its iconic rocky beaches, historic lighthouses, and postcard-perfect towns lining the shores, coastal Maine is known as one of the most naturally-beautiful destinations in the United States. It’s also home to more than 3,000 offshore islands, most of which are uninhabited and pristine, making yacht exploration a stellar choice. From secluded coves and awe-inspiring inlets to charming communities and historical sites, this majestic seafaring respite offers a chance to relax, unwind, and discover the region’s unique beauty. 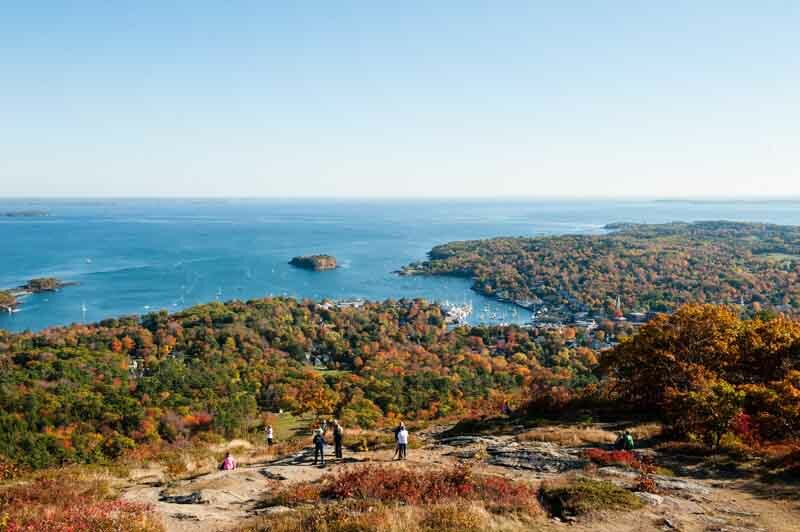 As you peruse the seaside mansions of Kennebunkport, sample the local fare in cosmopolitan Portland, explore Acadia National Park, and venture ashore at Bar Harbor, you’ll discover the essence of the “Down East” region. Explore a world of lobster pots stacked on old, wooden docks, serene, isolated anchorages, and towns cloaked in nautical history. From beachside lobster bakes and clam boils to historic museums and quaint island villages, true maritime traditions endure. 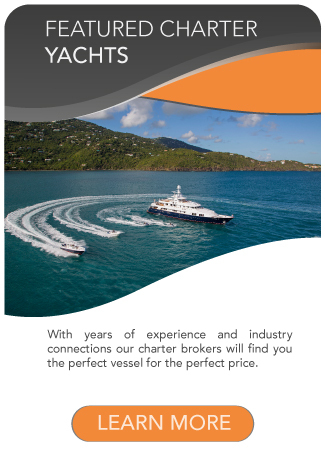 Meet your charter in the picturesque town of Camden, just a 20-minute drive from Knox County Regional Airport. 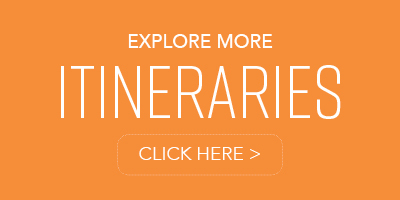 One of Maine’s busiest and most interesting tourist stops, it’s worth setting out on foot to explore the intriguing town before settling in on board. 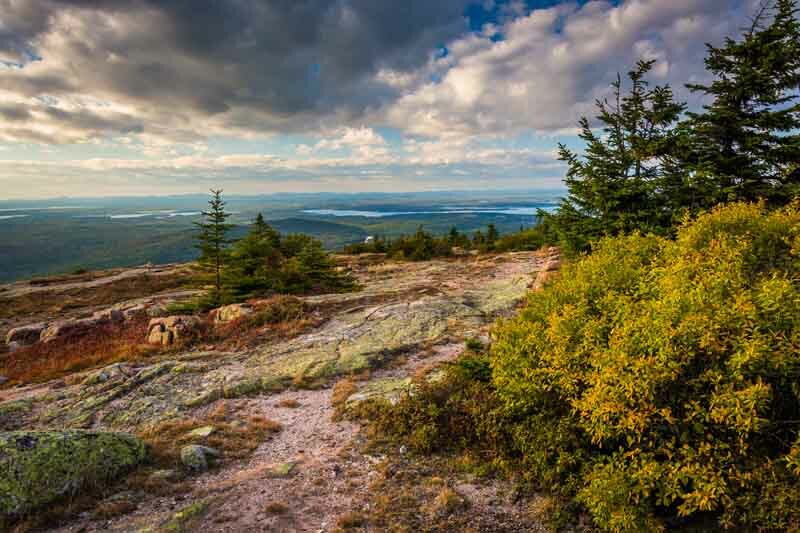 Peruse the eclectic boutiques, art galleries, and cafés, or hike to the top of Mount Battie for gorgeous views of Camden Harbor and Penobscot Bay. Then return to the respite of your yacht and enjoy a celebratory cocktail on deck. Your captain will cruise through further into Penobscot Bay to the quaint harbor town of Castine. Rich in nautical history and home to the Maine Maritime Academy, Castine is considered one of the oldest towns in New England, boasting historic buildings, charming inns, and beautiful homes with characteristic New England architecture. Grab a lobster roll at one of the fabulous local eateries, stroll along a pebbled beach, and tour historical sites such as Fort Madison at the mouth of the harbor, offering incredible panoramic views of the ocean. As you cruise the bay towards Pulpit Harbor, make sure you’re up on deck, as the views along the way are absolutely stunning. 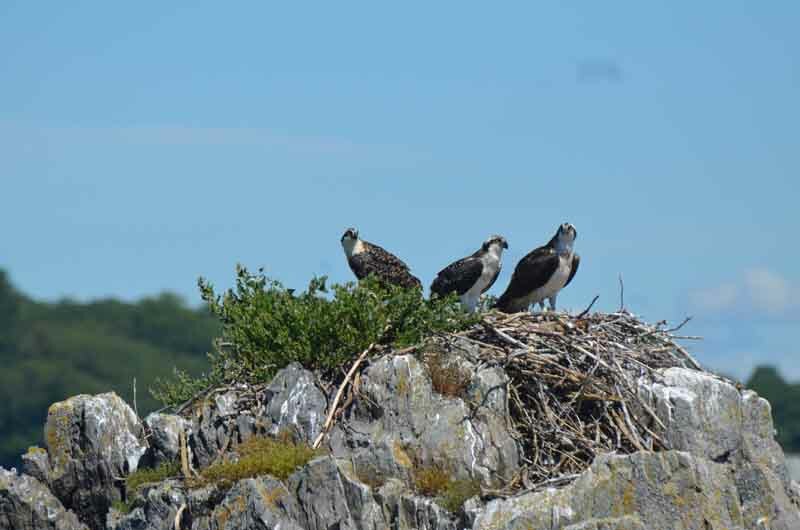 Arrive in Pulpit Harbor, a gorgeous protected anchorage on the island of North Haven, marked by Pulpit Rock and a generations-old osprey nest greeting you at the entrance. The town itself is quaint and tranquil, perfect for a quiet stroll before returning to the haven of your yacht for an expertly-prepared meal on board. 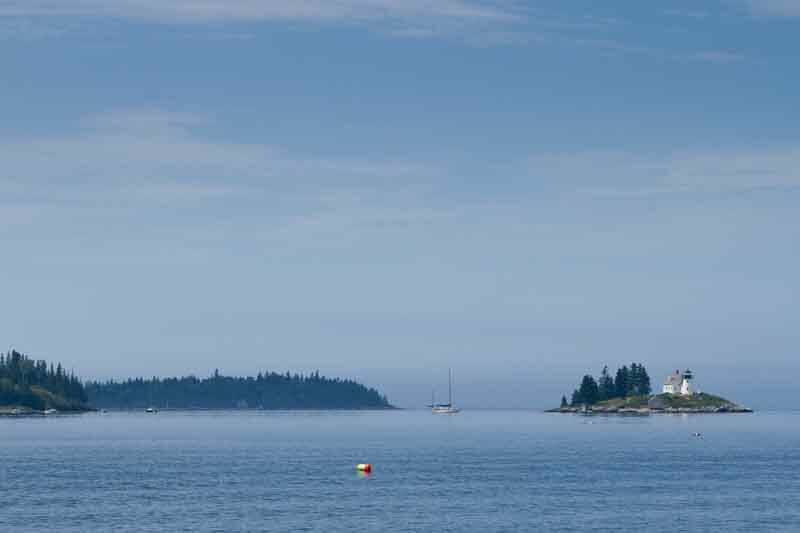 Depart Pulpit Harbor and head south, cruising through the Fox Islands archipelago to Seal Bay on Vinalhaven. Along the magnificent rugged coastline, you’ll find a spectacular protected anchorage surrounded by a panorama of scenic beauty, abundant wildlife, and a leisurely island community. 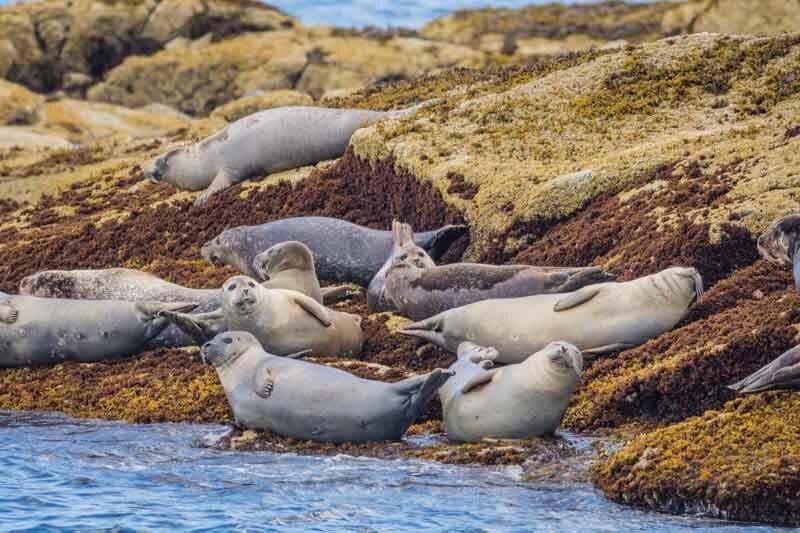 It’s the perfect spot to make use of your yacht’s kayak or paddleboard for up-close exploration of the rocky shores and hidden coves, most likely spotting a friendly group of resident seals, and maybe even a majestic bald eagle during your travels. From Seal Bay, your captain will motor through Merchants Row, a breathtaking archipelago of eight Maine Coast Heritage Trust island preserves open for exploration. Each island is like a jewel, with lush emerald flora, jagged-topped landscapes, and the glistening blue-green sea stretching far ahead. Choosing which of these splendid isles to explore will be your only concern. Continue on to Eggemoggin Reach, home to the Eggemoggin Reach Regatta, an annual classic boat event that celebrates the spirit of traditional wooden vessels in an environment that matches its authentic nautical history. Anchor off at WoodenBoat School in Brooklin, and head ashore to explore the grounds, learn about the history of traditional wooden boats, and enjoy some souvenir shopping. Return to your home on the water for a personalized meal prepared by your chef. 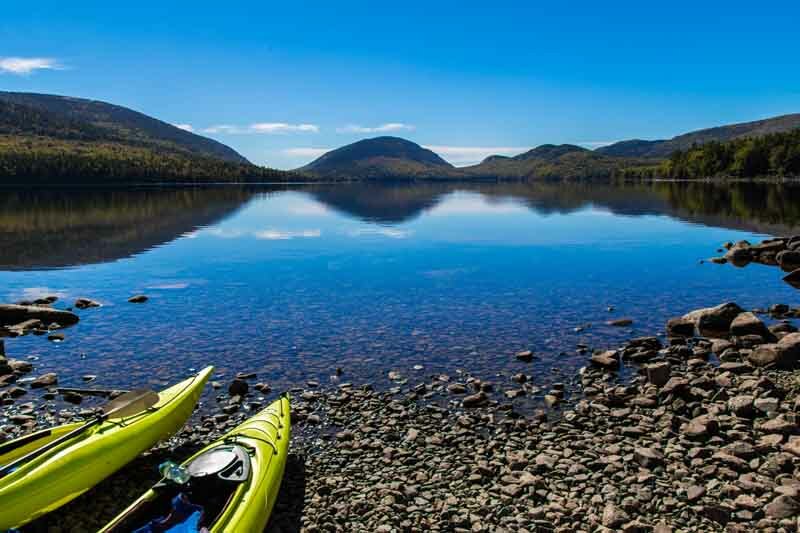 Nestled on a large peninsula that extends south into Penobscot Bay, Blue Hill offers an unspoiled landscape luring travelers with its forested hikes and pristine waters for canoeing, kayaking, paddle boarding, and sailing. The quaint seaside town is rich with artists and craftspeople, excellent food, charming art galleries, and local shops, all waiting for your unhurried enjoyment. Depart Blue Hill and make way towards Isle de Haut, where you can stop-off to dine at one of many local eateries offering the freshest of Maine’s iconic seafood. Continue to Frenchboro, a small town located on Long Island, where the primary industry is lobster fishing. 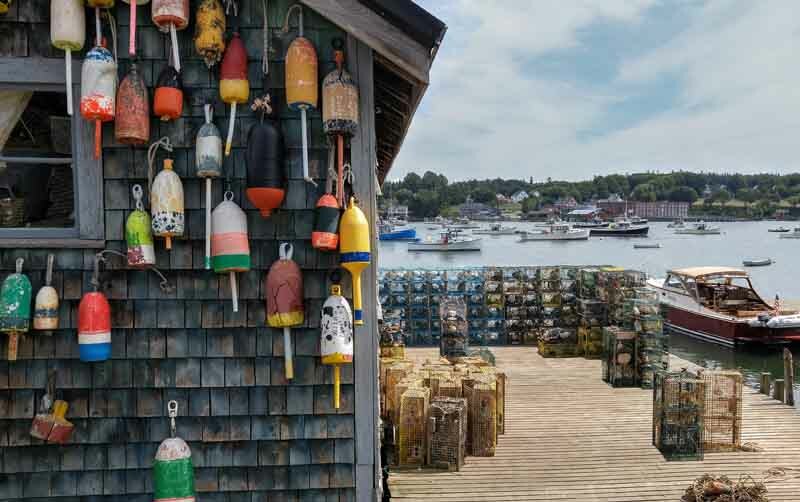 Once anchored, venture ashore to explore gorgeous forested hiking trails, tour old-world fishing ports, and possibly enjoy the iconic “Lobsters in the Rough” dinner, a no-frills lobster feast held right on the shore. If time permits, take a quick jaunt to Roque Island, as it boasts one of the most beautiful beaches in Maine, with a crescent-shaped expanse of pristine white sand, which is rarely seen in this region. A nature-lovers paradise, bird life is abundant and the scenic sweeping landscape offers breathtaking views as far as the eye can see. 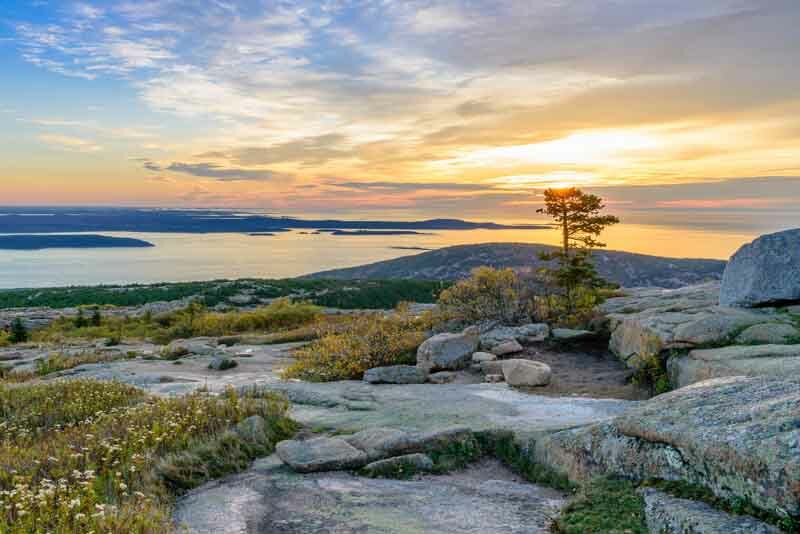 Home to Acadia National Park, Mount Desert Island (pronounced as “dessert” by locals) is home to stunning beaches, sweeping cliffs, and towering mountains, offering a plethora of recreational activities amidst a backdrop of scenic wonder. 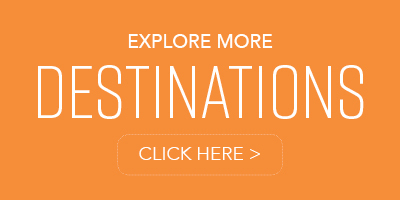 From hiking, biking, and nature trails to swimming, sailing, and kayaking, there truly is something for everyone. The Northeast Harbor is smaller and quiet, with a few shops, art galleries, and quant local cafés to enjoy, while the Southwest Harbor is a bit livelier, with unique shops, local eateries, and several historic museums, all worth a visit. 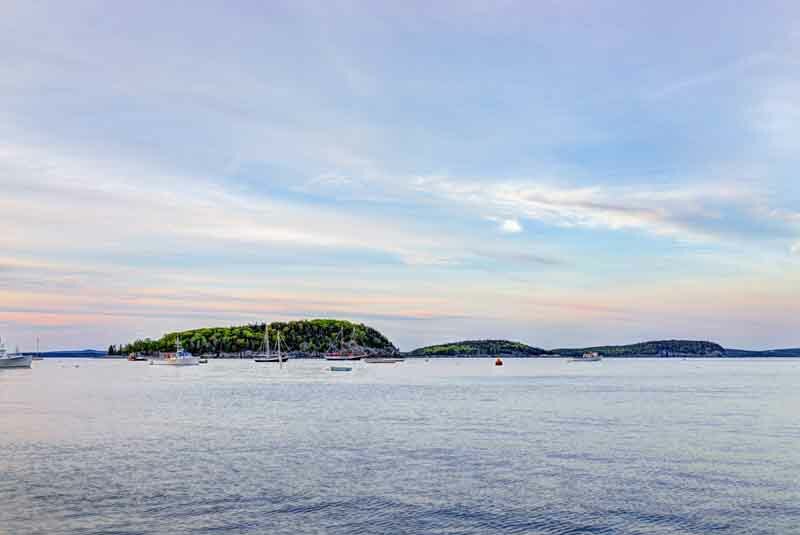 A visit to Maine simply isn’t complete without a stop at renowned Bar Harbor, a quintessential Down East seashore community that blends New England character with stunning coastal beauty. 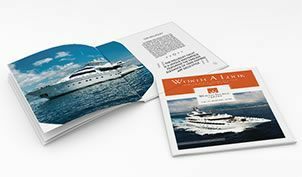 With its many yachts and lobster boats, and its view of the offshore islands and glistening ocean, it’s the perfect setting as your journey comes to an end. Bid your yacht and crew farewell, and fly out of Bar Harbor airport, returning with memories that will last a lifetime. 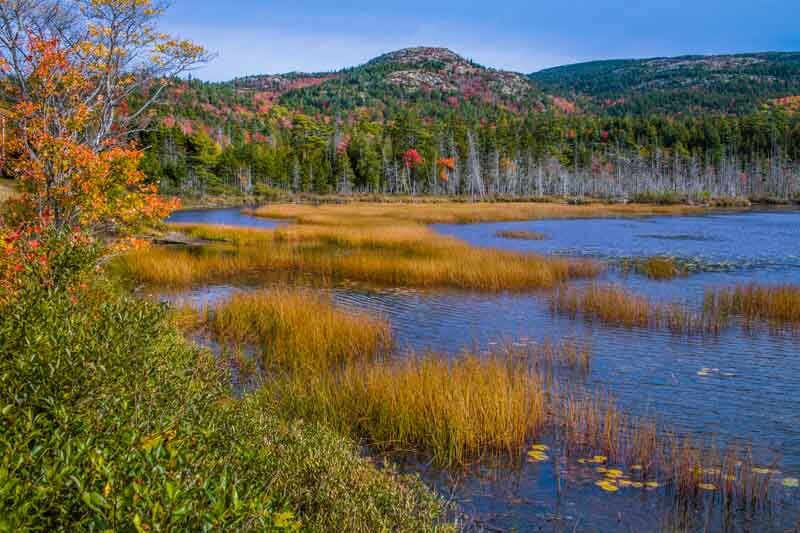 CLIMATE: Maine has a humid continental climate, with humid and warm summers and winters that are cold and snowy throughout the state, especially in the northern parts of Maine.